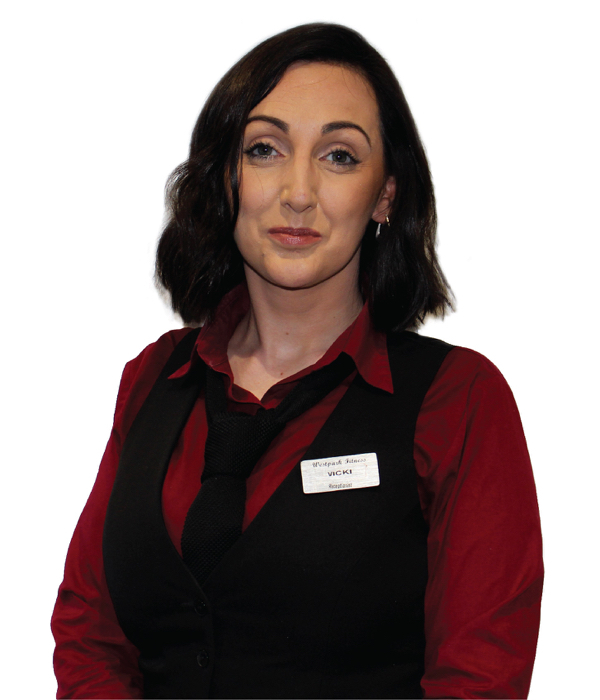 My name is Vicki and I have been working at Westpark Fitness on reception for one year now. I really enjoy working at Westpark Fitness, as every day is different and I love interacting with members and helping them to the best of my ability with any issues they may have. The staff here are all so helpful and friendly and it creates a relaxing and easy going atmosphere to come to work in each day. My training mainly involves working at my programme which was made for me by Lizzie, our fitness team manager. This programme was designed to improve my cardio endurance which has been a weak point for me in the past. The introduction of Myzone to Westpark Fitness has also been a massive help in achieving certain goals. Myzone helps in tracking my workouts, and stores results so I can compare my workouts over time. There is also a community feeling which comes along with using Myzone as you can connect with friends and members. In my spare time, I enjoy going for walks with my dog around Blessington Lake and spending time with my family and friends.